Capcom’s "Resident Evil 5" Release Date Moved Forward One Week in Japan - Latest entry in mega-hit franchise set for release on March 5, 2009 - Capcom Co., Ltd. (Capcom) is pleased to announce that due to shortened development time, the release of the Japanese version of "Resident Evil 5" on PLAYSTATION 3 and Xbox 360 has been moved forward one week from March 12, 2009 to March 5, 2009. The release date for North America and Europe, however, remains unchanged. 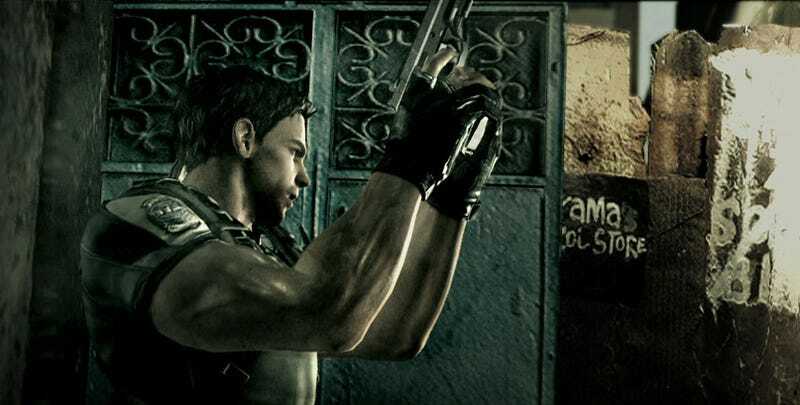 "Resident Evil 5" was presented to high acclaim at the Tokyo Game Show 2008, which was held at the Makuhari Messe in Chiba Prefecture from October 9 to 12 of this year. The Japan Game Award awarded the Future Award to "Resident Evil 5" as the title with the highest user anticipation. In response to this anticipation, Capcom has succeeded in shortening the development period, and we are pleased to announce that fans in Japan will be able to play the game on March 5, 2009, a week earlier than originally announced. We hope this will please the many fans of the Resident Evil series in Japan. The change of the Japanese release date should not have a significant impact on overall sales.